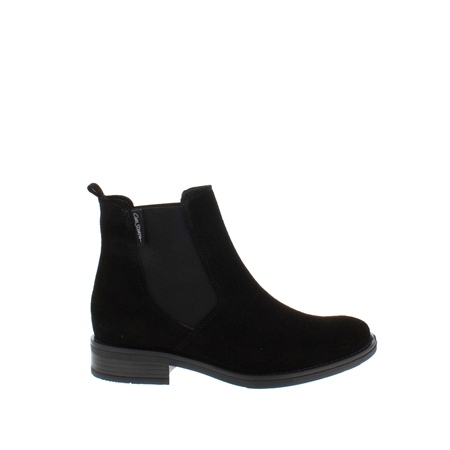 The Juliana Chelsea Boots are a wardrobe staple. This classic style was crafted in Italy from soft black suede and features a pull tab and elastic inserts making them easy to put on and off. Style them with dresses or skinny jeans for a casual, everyday look.